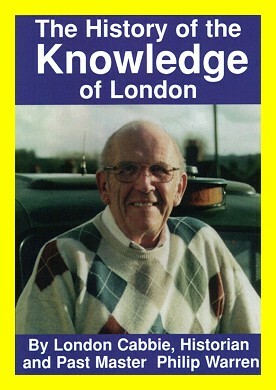 The History Of The Knowledge Of London by London cabbie, historian & past master Phil Warren. Read how it all started, read how pressure was put on the carriage office to use the knowledge examinations to stop women becoming cab drivers and more fascinating history. This book really is a great read and at only £11.95 is very good value. Some of the information Phil Warren has discovered was kept secret for years and has only recently been released by the government. He also discovers that information around the time of the minicab wars of the '60s has still not been released.